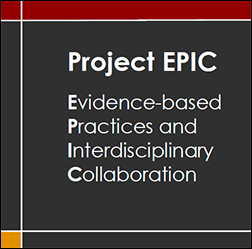 Project EPIC is a special education teacher preparation program for masters degree students. EPIC prepares special educators with knowledge and skills to promote high quality inclusion and instruction of students with significant disabilities. Upon completion of EPIC, students will receive two Wisconsin teaching licenses (Cross-categorical and Cognitive Disability), LEND leadership certificate, and a masters degree in Special Education. The mission of the Master of Genetic Counselor Studies Program at the University of Wisconsin-Madison is to educate competent and compassionate genetic counselors who will successfully enter the genetic counseling workforce and be lifelong learners and leaders in the field. The purpose of this program is to provide graduate education to interdisciplinary maternal and child health trainees, to prepare them to assume key leadership positions in education, service, research, administration and advocacy to improve the health and well-being of the MCH population. MCH LEND also provides continuing education, consultation and direct service geared to the needs of individuals, families, health professionals and policy makers.